Dining In. Dining Out. Shared Tips. If you read my initial post on More Chz Plz, you would know that there would come a time when Donovan’s Steak House macaroni & cheese would acquire another mention. 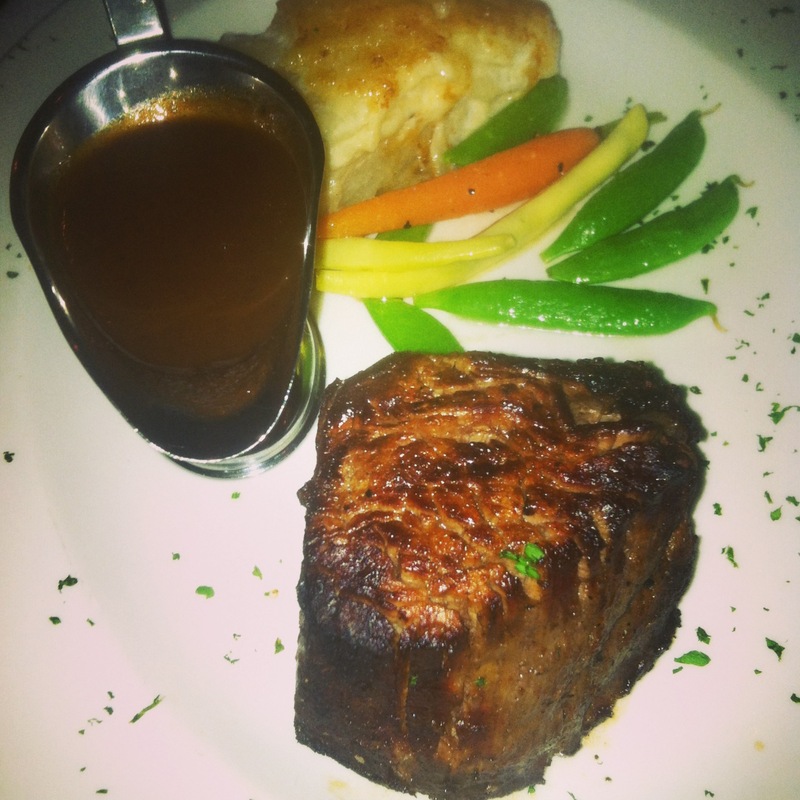 Donovan’s is where my love for a thick, juicy filet began but what keeps me coming back is the amazing service. Located in the Biltmore area, my bosses love to visit the steak house every few months. They know the staff and General Managers so well that they were given a plaque with their last name for whichever booth they are seated in. Then joins Ashley to the mix, miss little macaroni. My bosses couldn’t understand why I didn’t want a seafood tower and rather a side dish of macaroni. 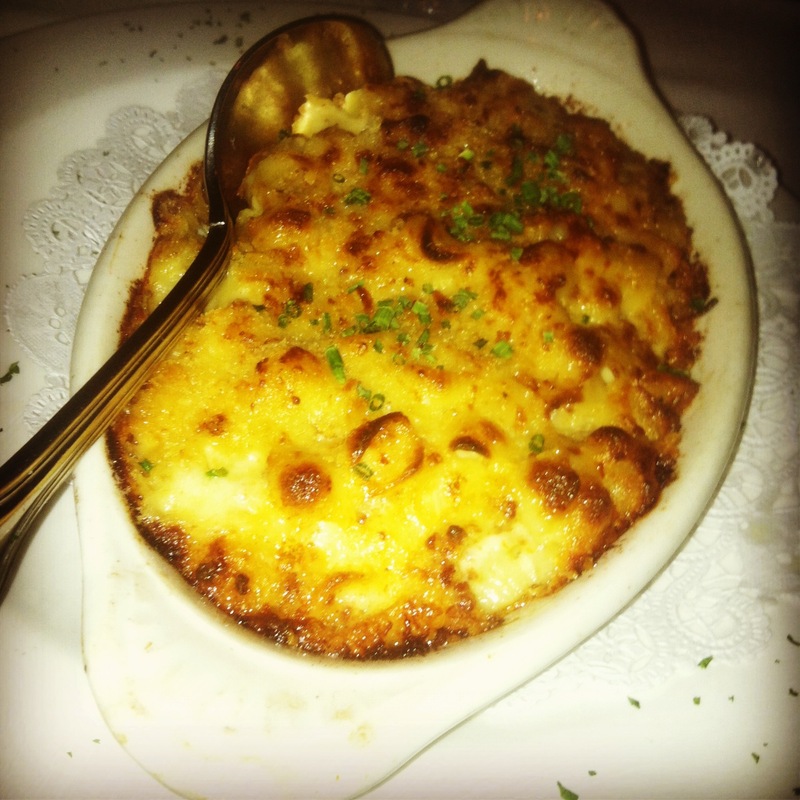 Donovan’s creates the dish from scratch, casserole style. Smoked cheddar, bacon and crusted bread crumbs are all baked and served right out of the oven. Macaroni isn’t the only cheesy dish that I have to order every time I dine though. Another from scratch dish that I crave just writing about are the Au Gratin Potatoes. I love making Au Gratin at home, so I know how much time goes into making the side dish. The potatoes have to be sliced thick enough so they don’t fall apart after cooking, but thin enough so that they still melt in your mouth. Donovan’s hand layers with plenty of Gruyere cheese and bakes until a perfect golden brown. Order all of the above and you will have plenty of leftovers for a reminiscent lunch.